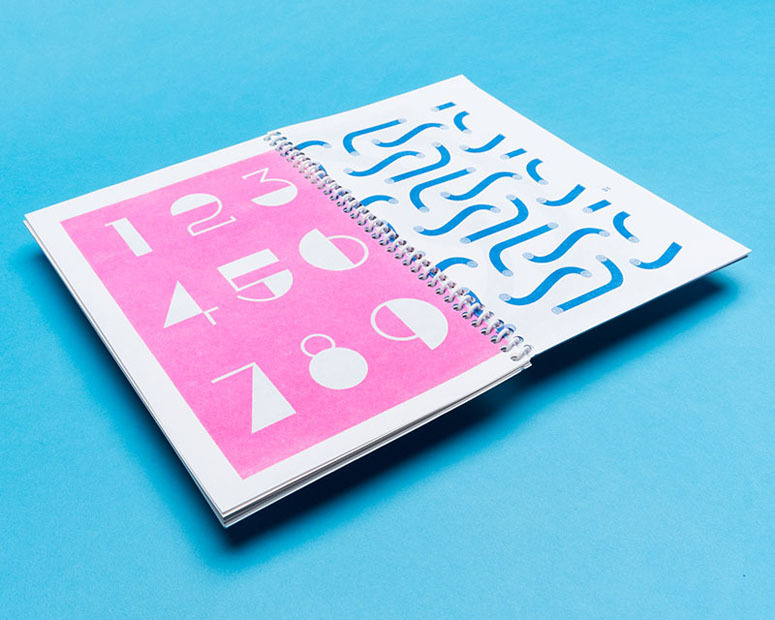 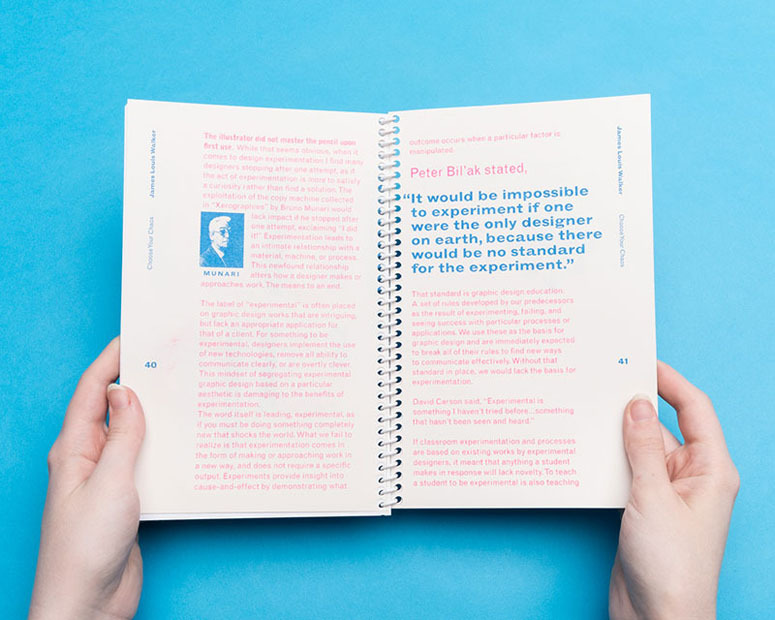 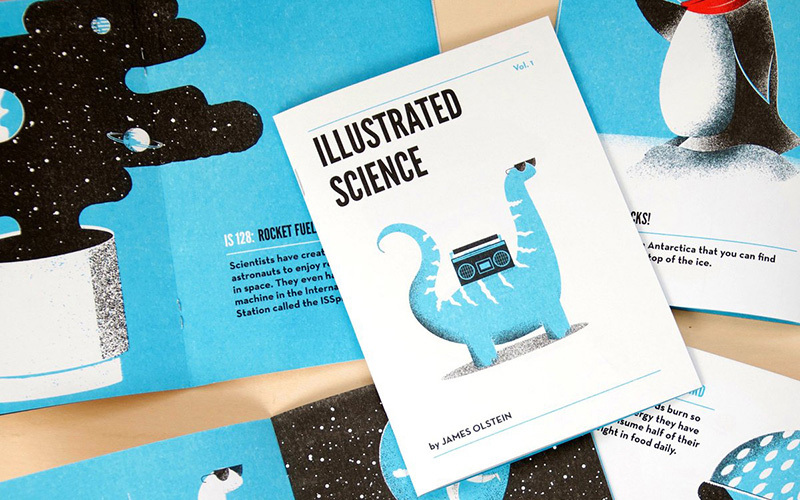 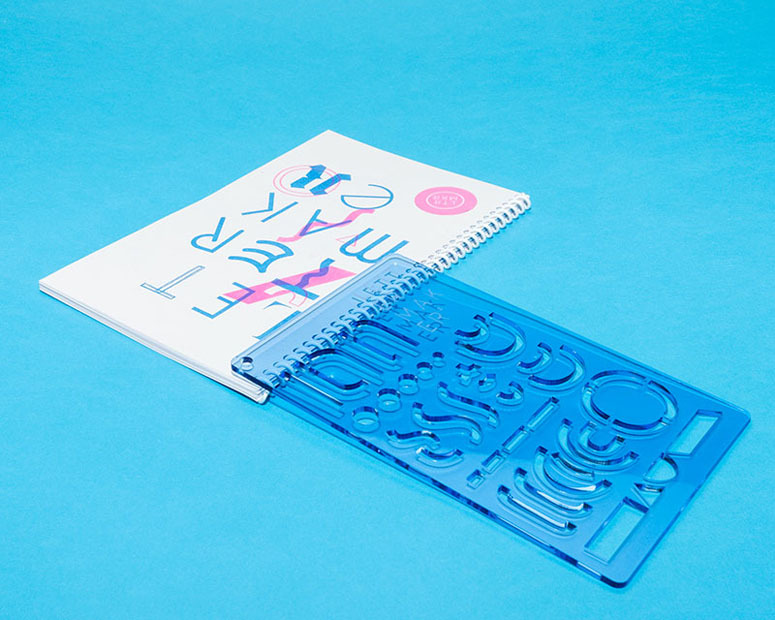 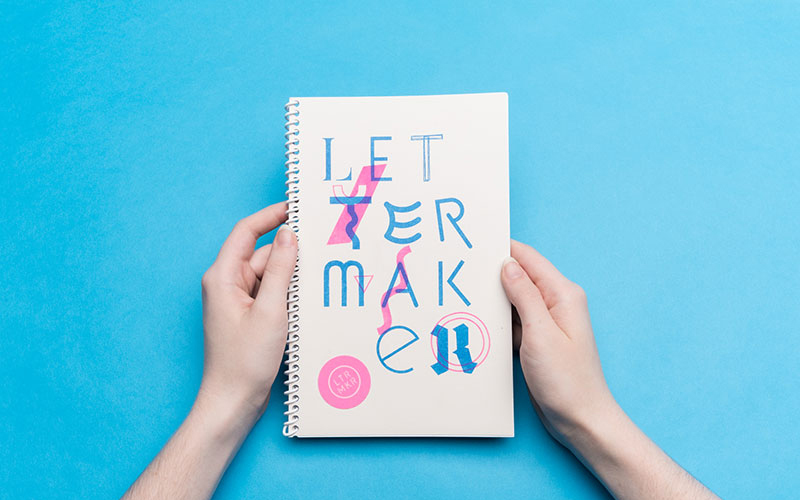 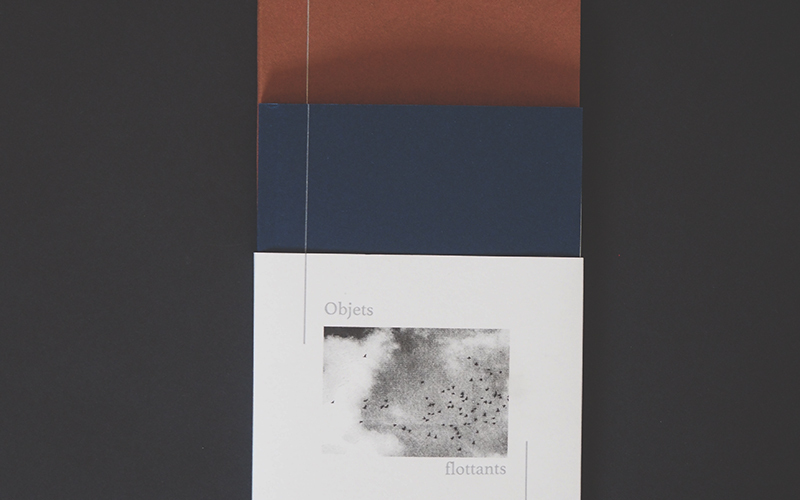 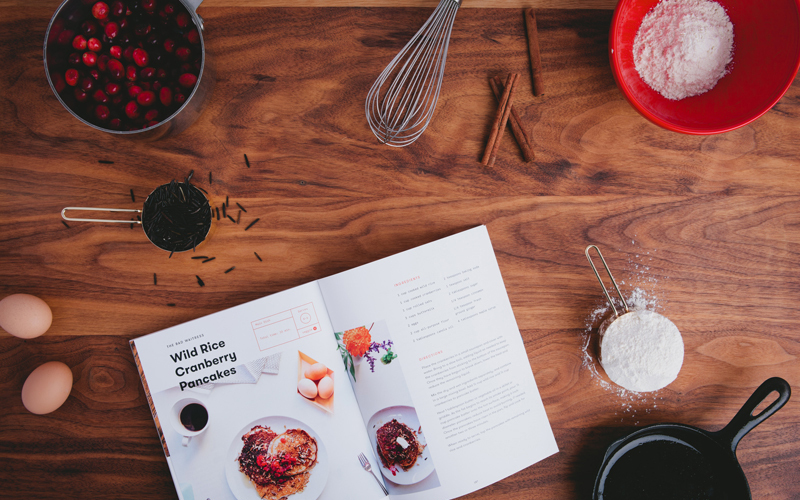 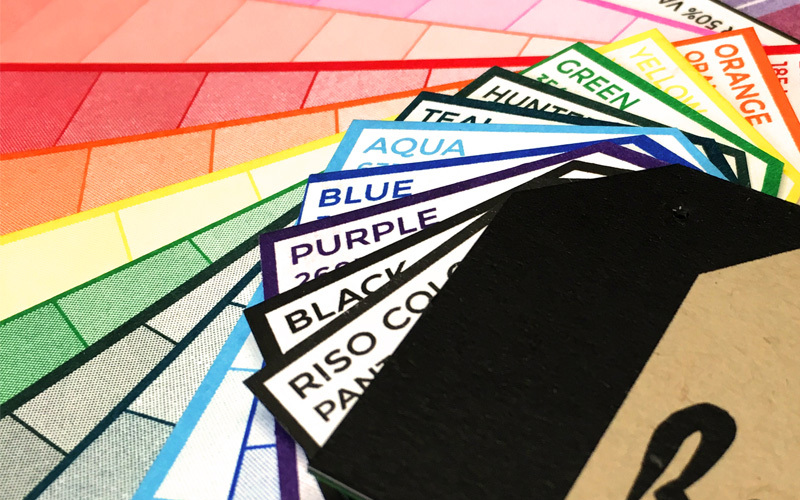 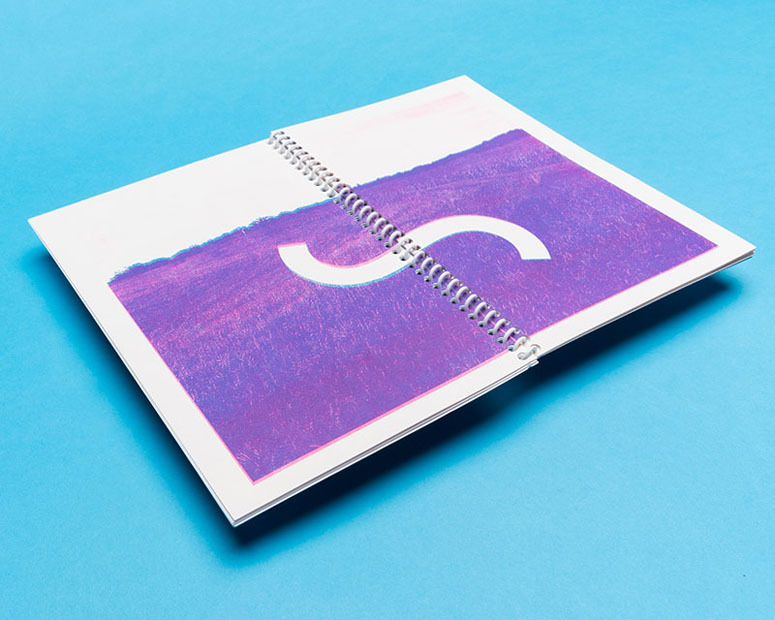 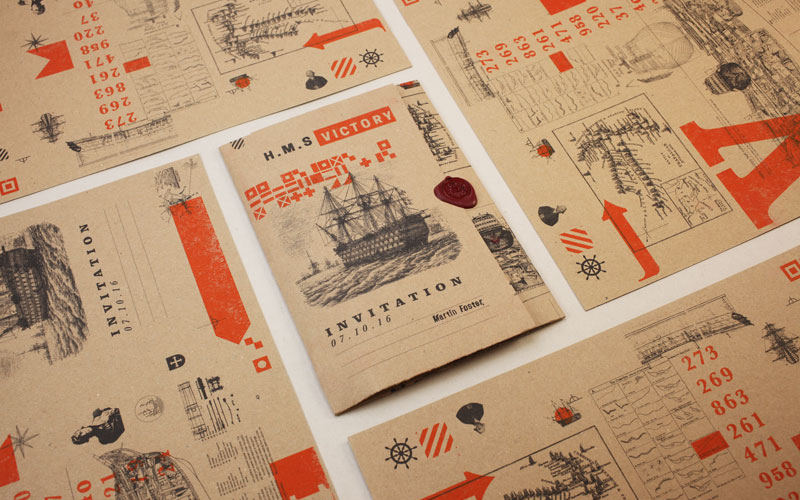 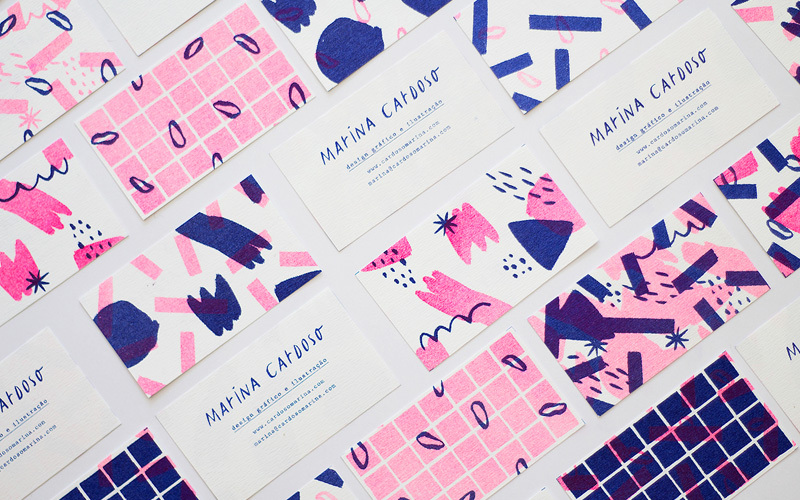 The LetterMaker zine is a miniature monograph for the product for which it's named. 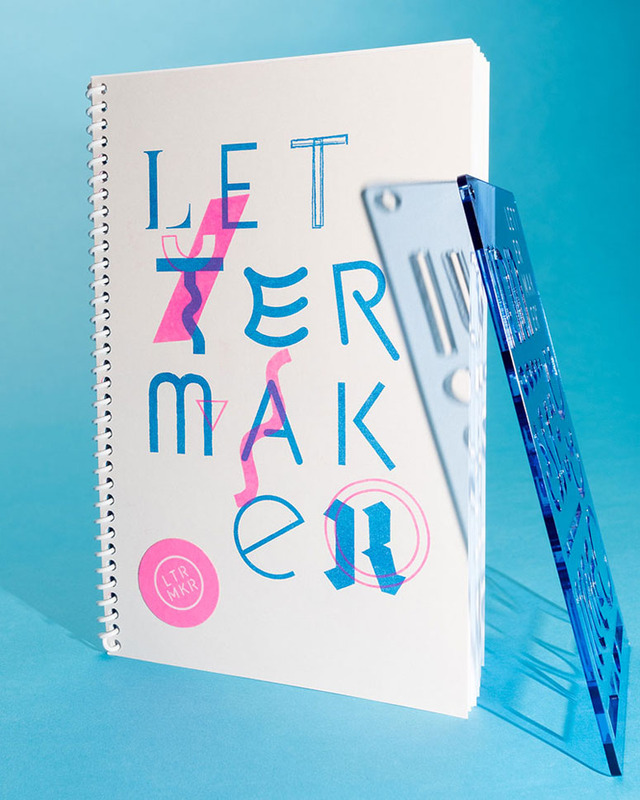 The zine illustrates the conceptual heritage of the LetterMaker Stencil — a typographic stencil that enables users to create custom, analog, modular typography â and features two essays on the value of experimentation, chaos, and form. 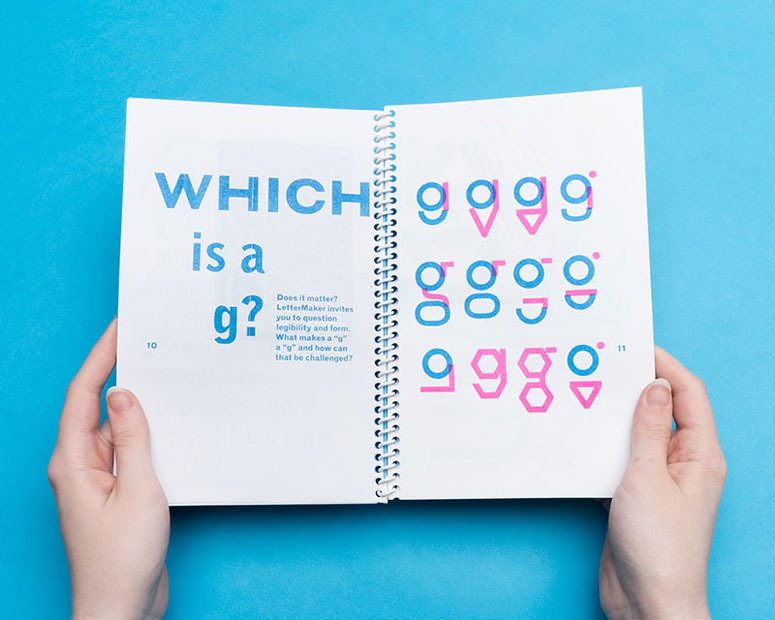 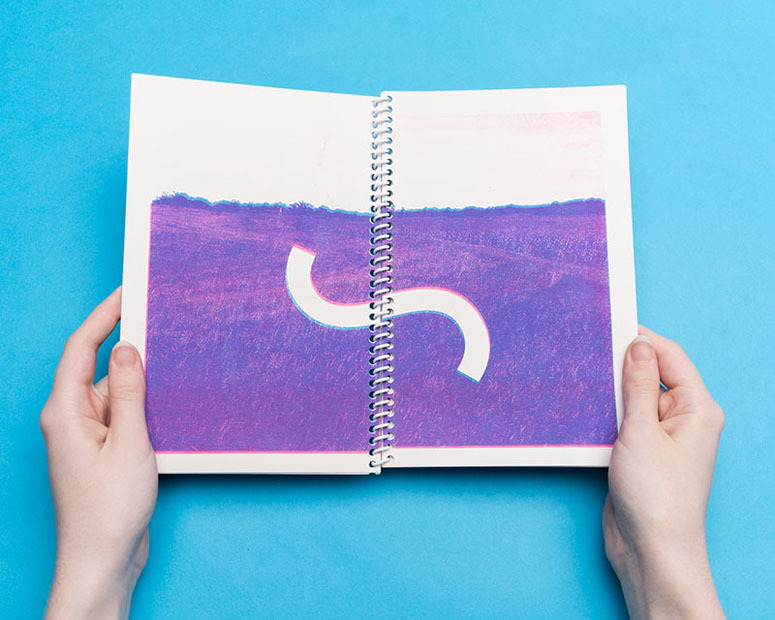 Aside from the inherent, and sometimes charming, flaws of printing on Risograph — like imprecise registration and coverage issues — the real challenge in creating this zine was the sheer amount of pages. Printing a two-color zine meant running each signature though the press 4 times. 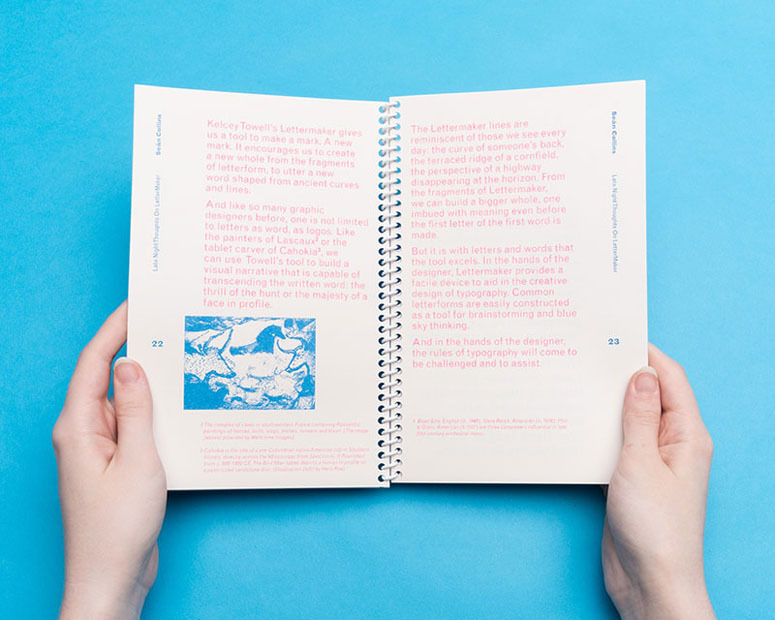 Even though I love the process of Risograph printing, I think my next Risograph zine will be fewer than 50 pages! 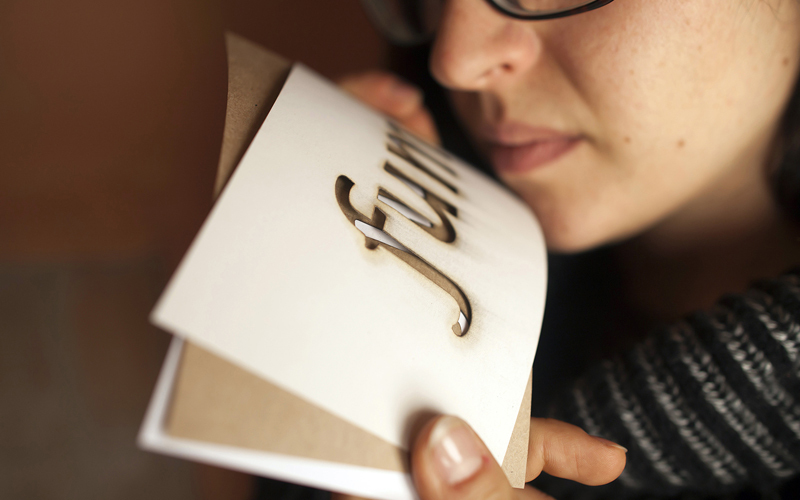 Some projects need to be hidden from my children--that is, if I am to get a turn enjoying them. 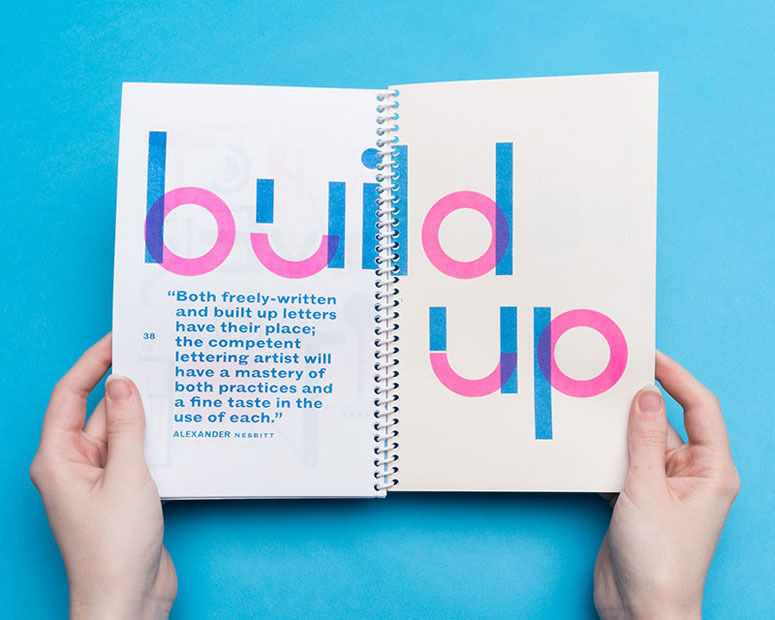 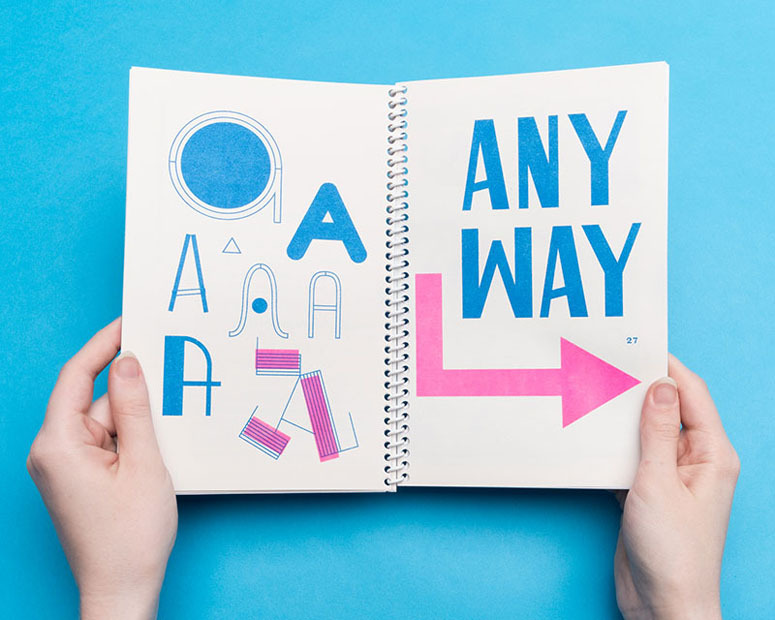 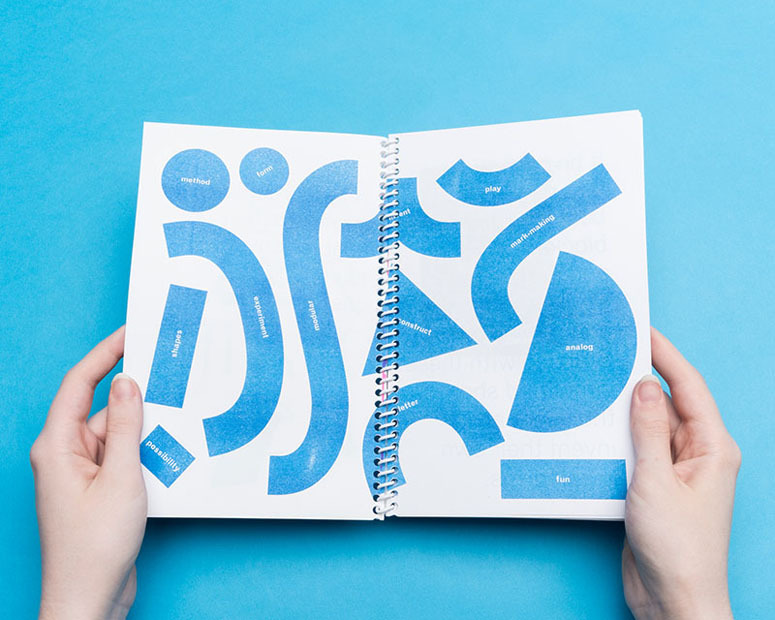 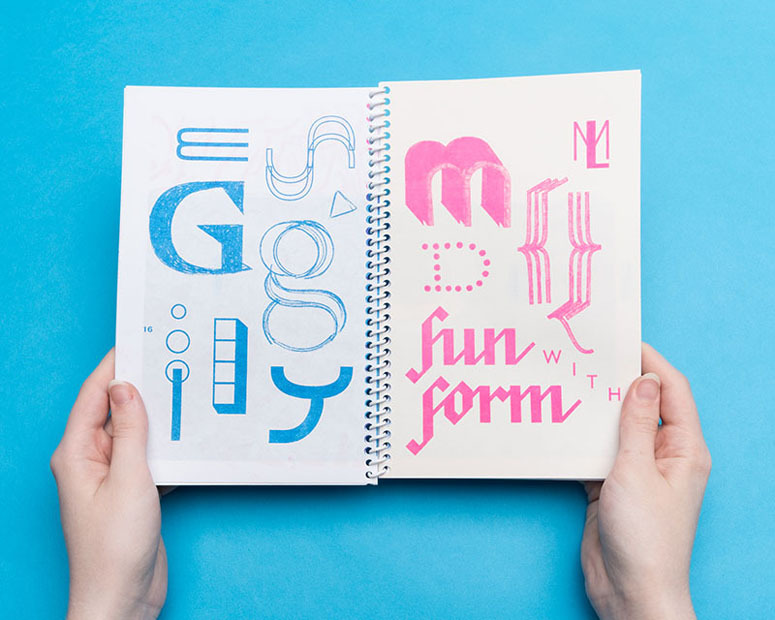 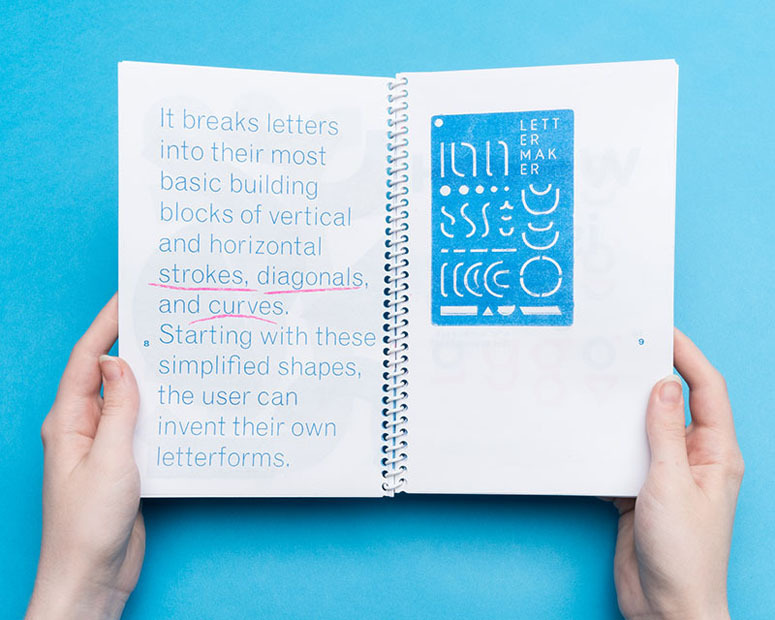 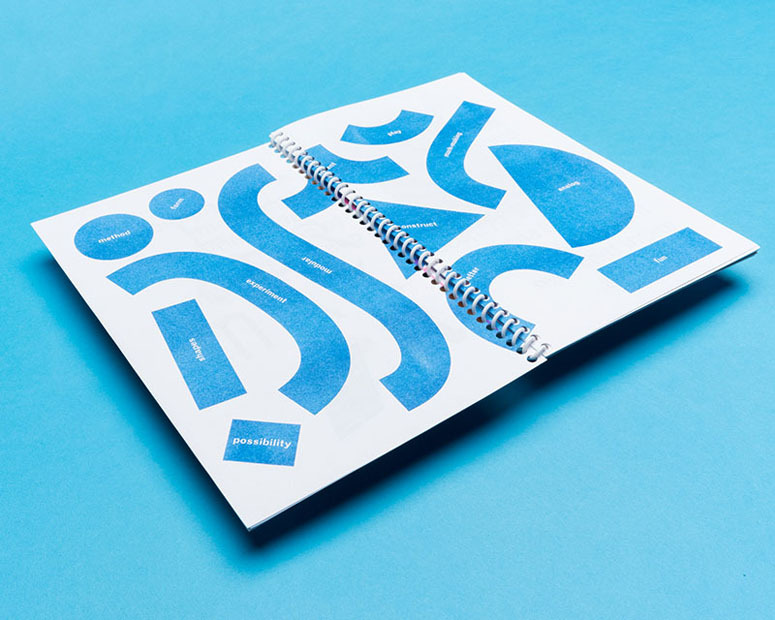 And this is one that with fun and interesting pages that come from a simple stencil template can surely inspire some doodling and playfulness in the office.